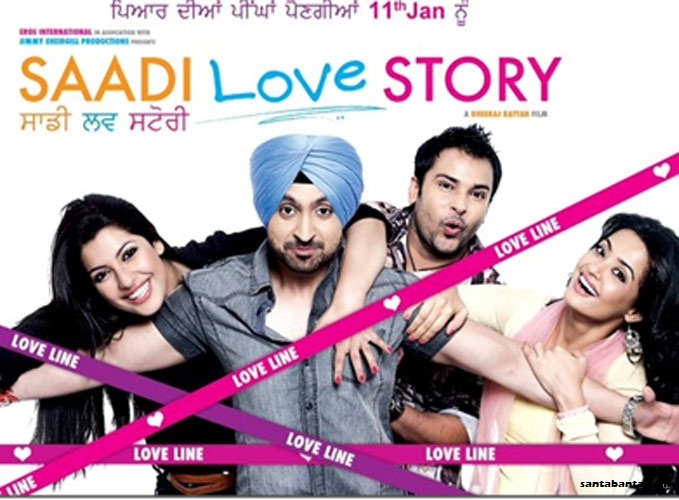 Saadi Love Story is a Punjabi movie starring Amrinder Gill, Diljit Dosanjh, Surveen Chawla, Neetu Singh. The movie is written by Dheeraj Ratan. The charm and excitement in your mind that the movie is happening but you are wrong this time in case of “Saadi Love Story”. The story is not so impressive. Amrinder Gill looks Average on screen on the other hand Surveen and Diljit have done a good job. The songs of the movie are good. The story line moves on with false love story of Diljit and Amrinder (both known by same name Rajveer) with Neetu Singh who is hospitalised after an accident.